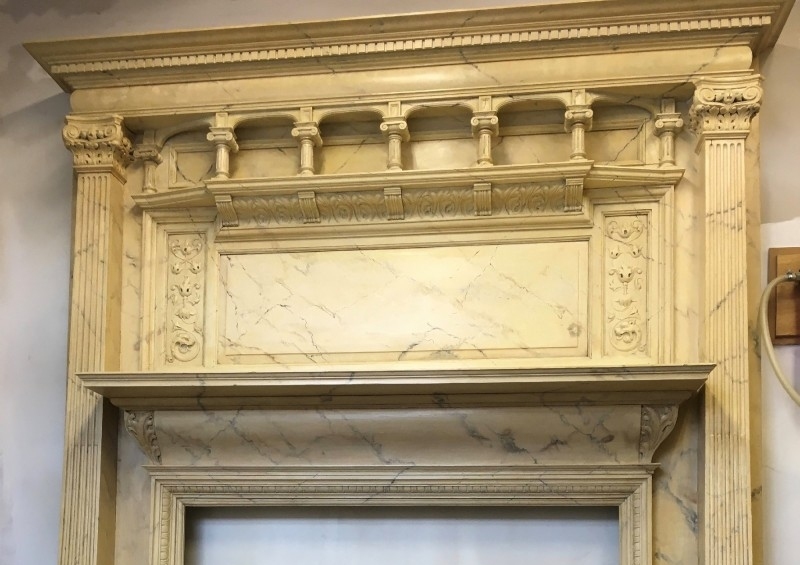 This fire surround was brought to us by builder who wanted it restored for a house in Monmouthshire. 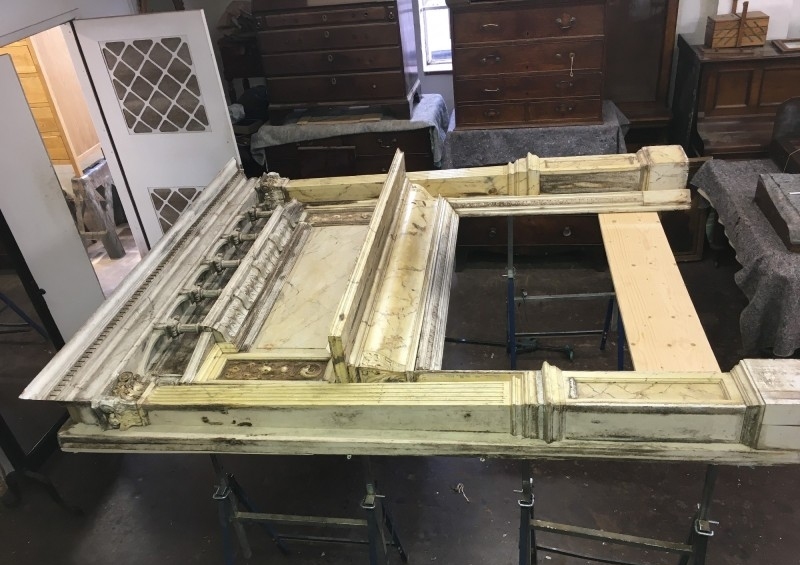 At over 7 feet tall it came from quite an impressive house and it was in awful condition with a large amount of rot, broken joints and missing parts as well as the marble effect paint work largely damaged or missing. We had to start by taking what was left together apart and the removing the copious amounts of filler that had been used to fill the joints as they drifted apart over the years. Then we treated the rotten area to keep the surround as original as possible and replaced the missing parts. We then re-assembled and painted to match the original marble effect paintwork.